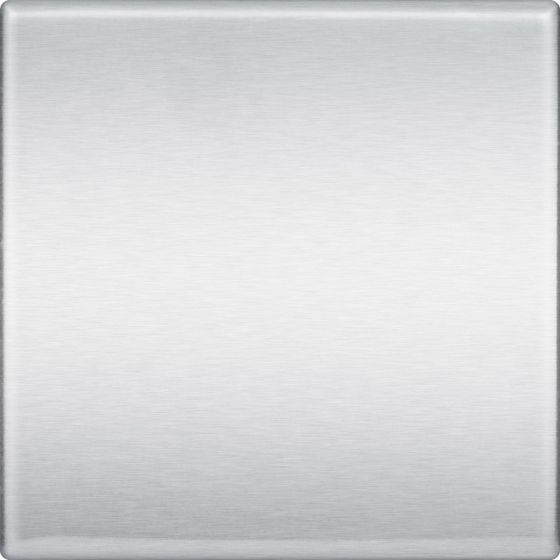 The 6 x 6 Stainless Steel Tile is Proudly Made in the USA. 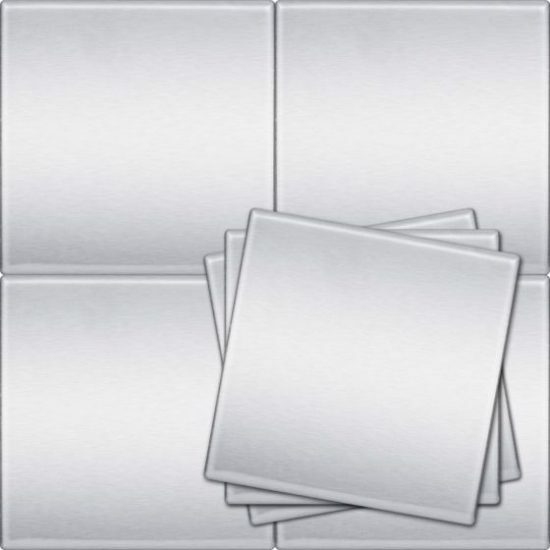 (Actual size: 6″ x 6″) You won’t find this quality or price in other tiles. The 6 x 6 tile still has the versatility in design for checkerboard or diagonal patterns, but also offers practicality and advantages for your larger scale projects. 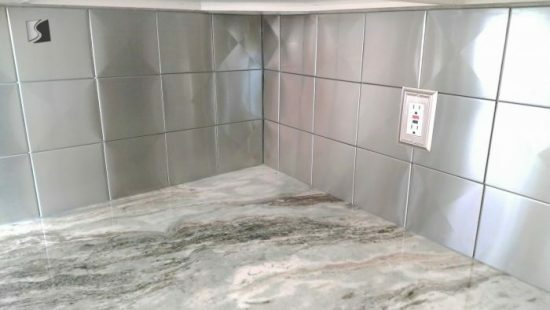 It is especially beautiful when alternated every other tile with the flat 6 x 6 Stainless Steel Tile. 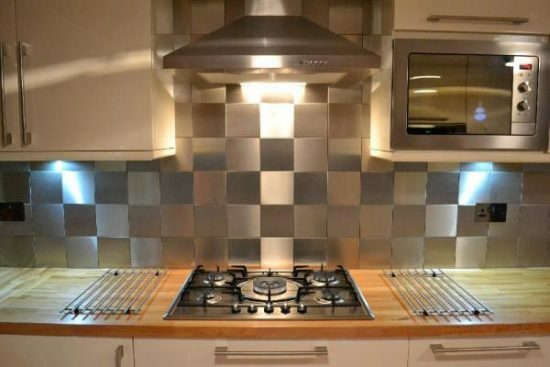 This pattern produces a subtle large diamond pattern around each of the flat tiles and makes for great visual interest. 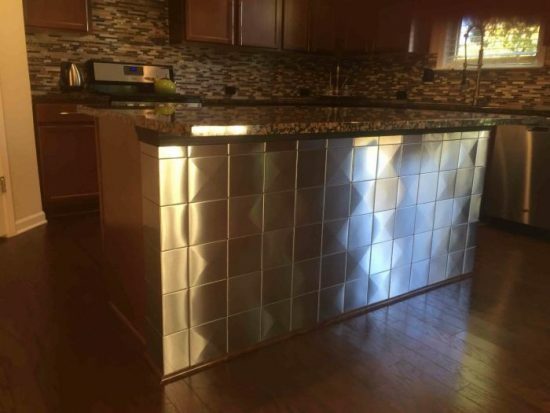 You can see this pattern in the pictures to the left. Of course, the 6 x 6 also makes a perfect half tile for the 6 x 12 Stainless Steel Tile. 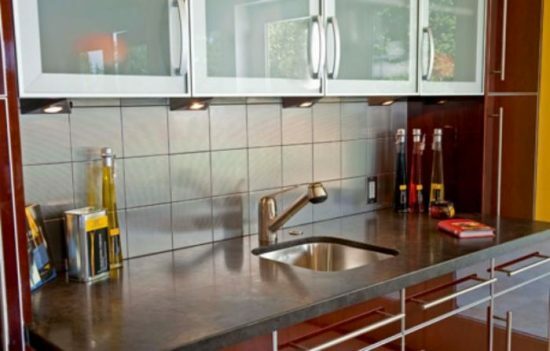 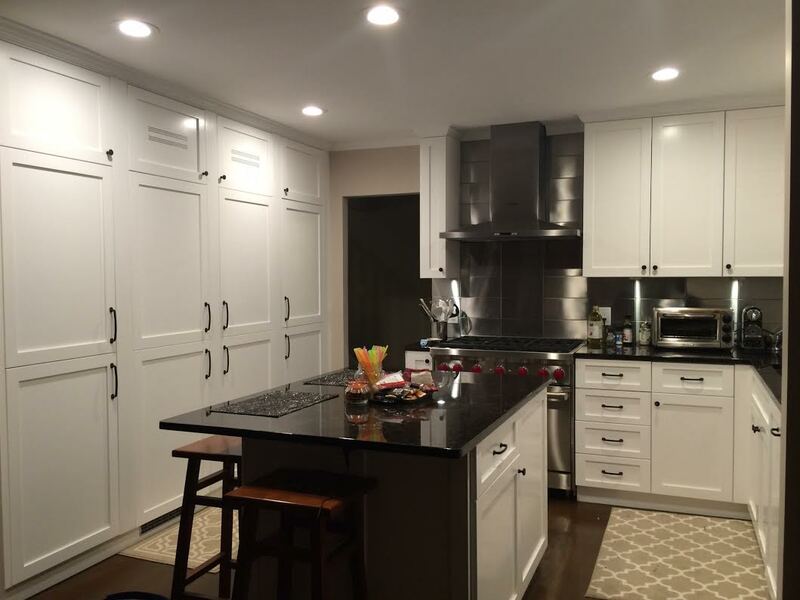 The larger scale is perfect for commercial kitchens, but is also gaining popularity in residential kitchens. 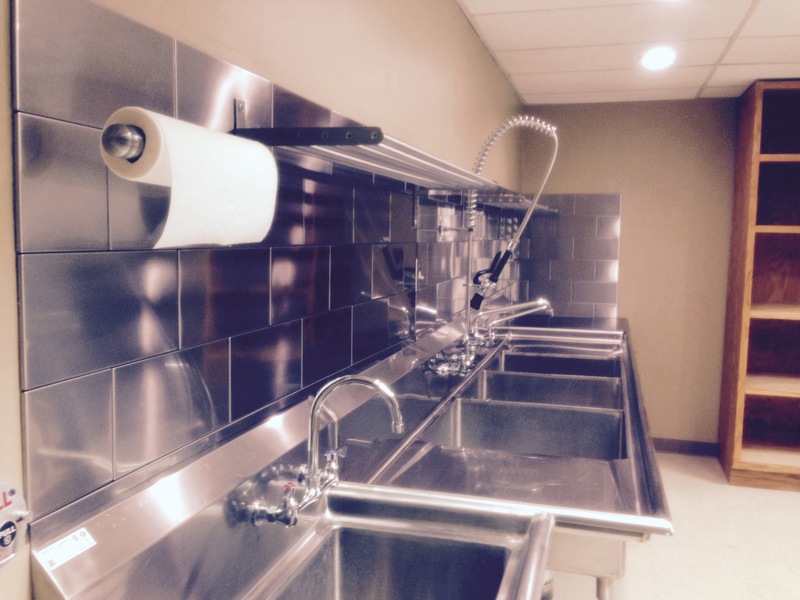 Check out the answers to our Frequently Asked Questions for more information.